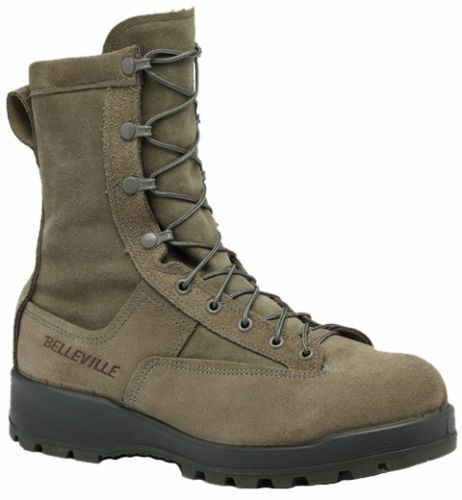 Built on the same platform as the Belleville 675 insulated boot, the 655 Extreme Cold Weather Boot adds more cold weather insulation for a total of 600g of composite insulation with a GORE THERMIUM protectant barrier strategically placed to offer thermal insulation around the areas of the foot that tend to get the coldest the fastest. 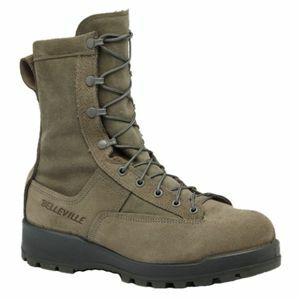 For extreme temperatures down to -20°, this boot handles it no problem when combined with the Air Force cold weather ensemble, the 655 offers extreme cold weather protection without all the bulk. A 100% rubber VIBRAM 360° FIRE & ICE compound outsole has been specially formulated for excellent grip on icy surfaces and will not stiffen up when temperatures drop to minus degees, unlike standard outsoles.